How to Clean a TV Screen. Cleaning a TV screen is a very simple and necessary task. Taking care not to damage the surface of the device is of utmost concern. Once the television screen has been properly cleaned, a bright, crisp picture is sure to please everyone. Use the following tips to clean a TV screen. Purchase anti-static wipes from a grocery or home improvement store. 3M Scotch Brite High Performance Cloth is an excellent choice for screen cleaning. Ensure that the television is turned off and unplugged from the electrical outlet. 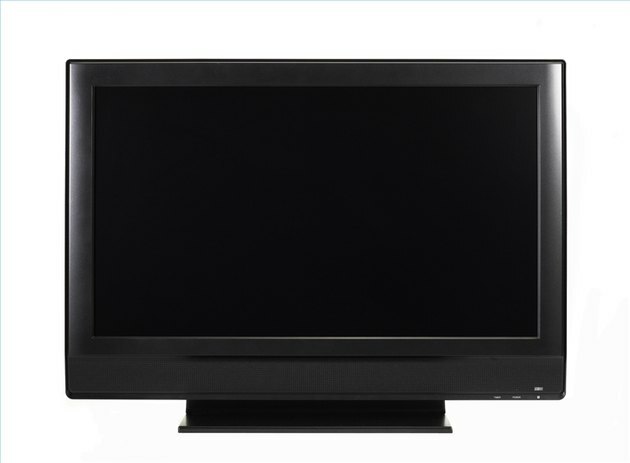 Wipe the dust from the surface of the TV screen very lightly with the anti-static wipe. Do not apply too much pressure to the TV screen surface. Use a water dampened, non-abrasive or cotton cloth to wipe across the TV screen's surface to remove pet hair, dust and fingerprints. Dry the surface of the TV screen immediately after damp wiping the screen.